This incisive and elegantly written examination of Chicano antiwar mobilization demonstrates how the pivotal experience of activism during the Viet Nam War era played itself out among Mexican Americans. ¡Raza Sí! ¡Guerra No! presents an engaging portrait of Chicano protest and patriotism. On a deeper level, the book considers larger themes of American nationalism and citizenship and the role of minorities in the military service, themes that remain pertinent today. 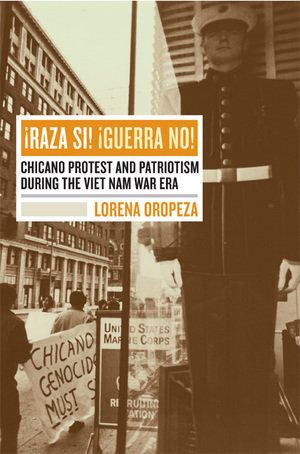 Lorena Oropeza's exploration of the evolution, political trajectory, and eventual implosion of the Chicano campaign against the war in Viet Nam encompasses a fascinating meditation on Mexican Americans' political and cultural orientations, loyalties, and sense of status and place in American society. Lorena Oropeza is Associate Professor of History at the University of California, Davis.